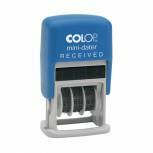 COLOP Self Inking Mini Text and Date Stamp RECEIVED S160L1 Pack of 1 Colop S160L1 mini dater. Extra small self-inking text and date stamp. Impression size 25x12mm. 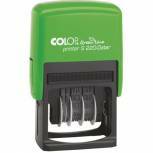 COLOP S120 Self Inking Mini Dater EM37284 Pack of 1 COLOP S120 self inking mini dater suitable for everyday use. Features a 12 year date brand with 4.0mm imprint height. COLOP Green Line Word Stamp PAID Red GLP20PAID Pack of 1 Colop Green Line self inking word stamp made from over 65 percent recycled materials. Gives a 38 x 14mm size imprint. Prints text in red to highlight your message. Ink pad gives thousands of sharp impressions. 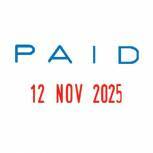 PAID. COLOP Green Line Word Stamp COPY Red GLP20COPY Pack of 1 Colop Green Line self inking word stamp made from over 65 percent recycled materials. Gives a 38 x 14mm size imprint. Prints text in red to highlight your message. Ink pad gives thousands of sharp impressions. 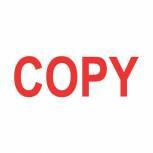 COPY. 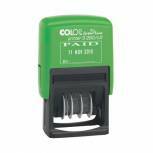 COLOP Date Stamp 4mm 04000 Pack of 1 Date stamp with 00 MMM 0000 format. 12 consecutive year bands printed YYYY. Stamps 3-letter month abbreviations (JAN to DEC). For use with a separate stamp pad. Comfortable moulded handle. Impression size: 25x4mm. COLOP S260/L1 Green Line Text and Date Stamp RECEIVED 15560150 Pack of 1 COLOP S220 Green Line 12 year RECEIVED date stamp. Two colour self inking stamp made from over 80 percent recycled material. Prints the date in red and the text in Blue. Imprint height 4mm. COLOP Green Line Word Stamp POSTED Red GLP20POST Pack of 1 Colop Green Line self inking word stamp made from over 65 percent recycled materials. Gives a 38 x 14mm size imprint. Prints text in red to highlight your message. Ink pad gives thousands of sharp, high quality impressions. POSTED. 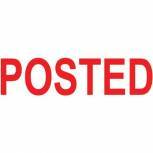 COLOP Green Line Word Stamp SCANNED Red P20GLSCA Pack of 1 Colop Green Line Self-Inking Stamp Scanned P20GLSCA. Prints the text in red. One ink pad will give thousands of sharp quality impressions. Made from a minimum of 65 percent recycled material. 38 x 14mm impression size. Ink pads are easily replaced. 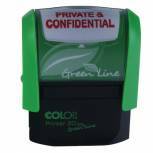 COLOP Green Line Word Stamp PRIVATE & CONFIDENTIAL Red P20GLPRI Pack of 1 Colop Self-Inking Stamp Private/Confidential P20GLPRI. One ink pad will give thousands of sharp quality impressions. Made from a minimum of 65 percent recycled material. 38 x 14mm impression size. Ink pads are easily replaced. 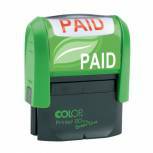 COLOP S260/L2 Green Line Text and Date Stamp PAID GLS260L2 Pack of 1 Colop S260 Green Line 12 year PAID date stamp. Two colour self inking stamp made from over 80 percent recycled material. Prints the date in red and the text in Blue. Imprint height 4mm. Total plate size 45 x 24mm. 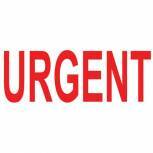 COLOP Green Line Word Stamp URGENT Red C144837URG Pack of 1 COLOP Green Line Word Stamp URGENT Red C144837URG. Made from 65 percent recycled materials. stamp impression 38 x 14mm. Self inking. Red ink. 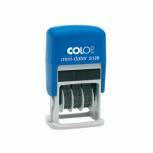 COLOP Self Inking Mini Text and Date Stamp PAID S160L2 Pack of 1 Colop S160L1 mini dater. Extra small self-inking text and date stamp. COLOP Printer S260 DIY Text Date Stamp DIYS260 Pack of 1 Colop Printer S260 DIY text date stamp. Two coloured self inking dater supplied with a set of 4mm characters and a pair of tweezers. Space allows for one line of text above and below the changeable date. Imprint size: 45 x 24mm. 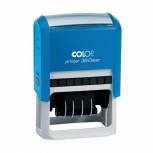 COLOP 2010 Self-Inking Metal Numbering Stamp S2010 Pack of 1 Colop 2010 Classic Line self inking metal numberer. Heavy duty numbering machine with ten numbering bands 0 - 9. Text size 5mm. 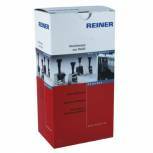 COLOP Reiner B6K Digit Auto Numberer 4.5mm REIB6K45 Pack of 1 Reiner B6K 6 digit numberer. Lightweight, self inking numbering stamp with 4.5mm numbers. Imprints 0 - 999999 in sequential numbers, or repeats numbers 1 - 6x, 12x or 20x. Line indicator allows exact positioning of numbers. COLOP Printer 38 Self Inking Date and Message Stamp RECEIVED C133751REC Pack of 1 COLOP Printer 38 Date Stamp RECEIVED C133751REC. Impression size 33 x 56mm. Date height 4mm. Self inking. E/38 replacement ink pads available separately. 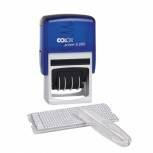 COLOP Date Stamp 5mm 05000 Pack of 1 Colop 0500 Rubber Date Stamp. 12 year date band. 5mm date. 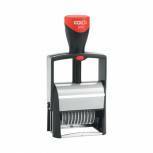 Use with separate stamp pad - EM05100, EM05102, EM05103. 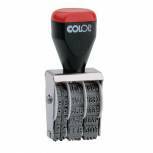 COLOP Green Line Word Stamp Account OVERDUE Red C144837ACC Pack of 1 Self inking rubber stamp made from 65 percent recycled materials. 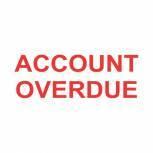 ACCOUNT OVERDUE printed in red. Size of imprint 38 x 14mm. 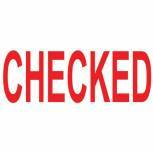 COLOP Green Line Word Stamp CHECKED Red C144837CHE Pack of 1 COLOP Green Line Word Stamp CHECKED Red C144837CHE. Made from 65 percent recycled materials. stamp impression 38 x 14mm. Self inking. Red ink.